Mt Vernon Downtown Historic District is listed in the National Register of Historic Places. The Mt Vernon Downtown Historic District in Franklin County was recently listed in the National Register of Historic Places. 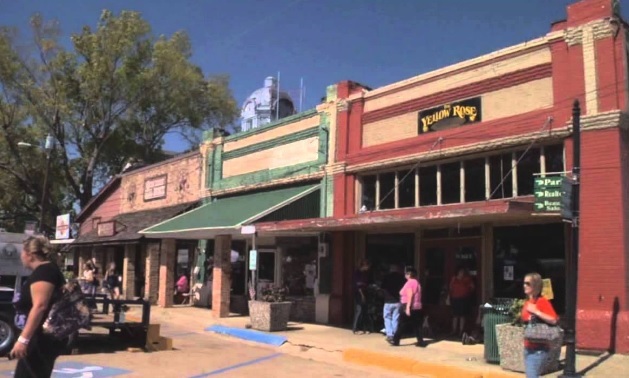 The Texas Historical Commission (THC) assisted in the nomination of this district in recognition of its importance to the history of Mt Vernon and the State of Texas. Mt Vernon is noted for its historical significance, the community joins other properties around the state with National Register status. The Mt Vernon Downtown Historic District is the traditional commercial and civic core of the city, which is the seat of Franklin County. The district contains 35 significant buildings that reflect the historical and architectural development of Mt Vernon since the arrival of the railroad in 1887, changing it from a small agricultural community to a booming rail town. In the early 20th century, Mt Vernon’s location on the coast-to-coast Bankhead Highway provided another catalyst for its growth and diversified economy. The ‘intact’ courthouse square and its surrounding commercial blocks, most of which are of late 19th or early 20th-Century masonry construction, establish the district’s architectural character. East and west of the square are resources that communicate Mt Vernon’s development in the auto era, after the establishment of the Bankhead Highway, which provided an economic boost and spurred auto-related growth. Mid-century development was sparse but did result in a few significant resources within the district, such as the Wells-Lamont Glove Factory, City Hall, and the First National Bank Building. Because the area developed over a long period, the resources reflect a variety of building methods, types, and architectural trends. The National Register of Historic Places is the nation’s official list of cultural resources deemed worthy of preservation. Authorized under the National Historic Preservation Act of 1966, the National Register is part of a federal program to coordinate and support public and private efforts to identify, evaluate, and protect the country’s historical and archeological resources. The National Register includes more than 3,300 listings in Texas. Listing affords properties a measure of protection from the possible impact of federally funded projects, as well as access to technical expertise and grant funds to facilitate their restoration and preservation. Income-producing properties are also eligible for federal tax benefits for sympathetic rehabilitation work. To learn more about the National Register of Historic Places, contact the THC’s History Programs Division at 512-463-5853 or visit thc.texas.gov.